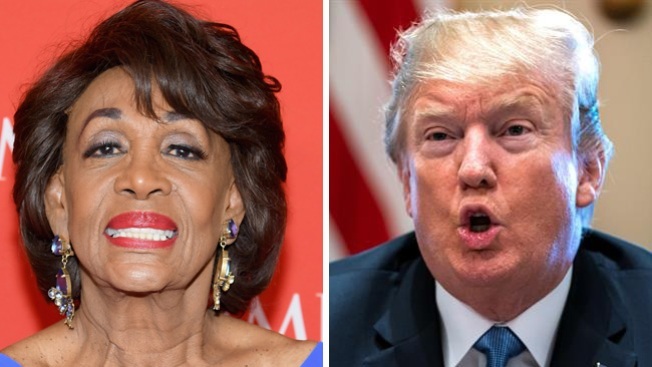 President Donald Trump on Monday called Rep. Maxine Waters "an extraordinarily low IQ person" and admonished her to "be careful what you wish for" in response to a weekend speech in which the Los Angeles Democrat urged people opposed to the administration's policies to confront cabinet members. 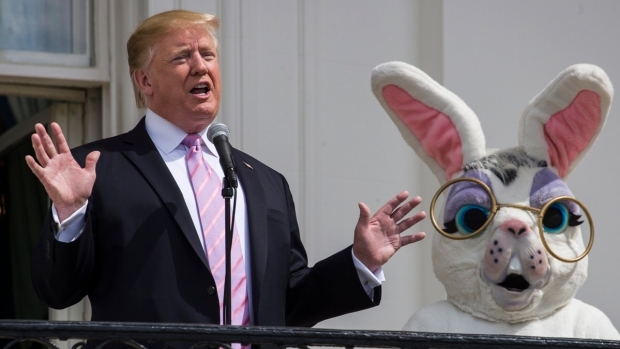 The president sent a tweet, at midmorning Los Angeles time, that said: "Congresswoman Maxine Waters, an extraordinarily low IQ person, has become, together with Nancy Pelosi, the Face of the Democrat Party. She has just called for harm to supporters, of which there are many, of the Make America Great Again movement. Be careful what you wish for Max!" At an afternoon news conference in Washington, Waters said peaceful demonstrations are a cornerstone of democracy and she supports the right to protest. "I have nothing to do with the way people decide to protest," she said. "Protest is the democratic way, as long as it is peaceful." Waters added: "I don't cry about protests. People protest me all the time, people come to my district office all the time. Protest is the American way." On Saturday at a rally at the Westwood Federal Building, Waters responded to the heckling of Homeland Security Secretary Kirstjen Nielsen, who was dining at a Mexican restaurant in Washington, D.C., last Tuesday when she was confronted by protesters over family separations at the border, and White House press secretary Sarah Huckabee Sanders being asked last Friday to leave a Lexington, Virginia, restaurant by its owner because of her work defending Trump and his policies. "Let's make sure we show up wherever we have to show up," she said in remarks posted on YouTube. "And if you see anybody from that Cabinet in a restaurant, in a department store, at a gasoline station, you get out and you create a crowd. And you push back on them. And you tell them they're not welcome anymore, anywhere. "We've got to get the children connected to their parents," the congresswoman said. "Mr. President, we will see you every day, every hour of the day, everywhere that we are to let you know you cannot get away with this." Waters appeared on a cable network later in the day to reiterate her remarks, and exclaimed "no sympathy" for members of the Trump administration. Around the time of Trump's tweet, Pelosi, the House minority leader, issued a statement that did not mention Waters by name. "In the crucial months ahead, we must strive to make America beautiful again," Pelosi tweeted. "Trump's daily lack of civility has provoked responses that are predictable but unacceptable. As we go forward, we must conduct elections in a way that achieves unity from sea to shining sea."